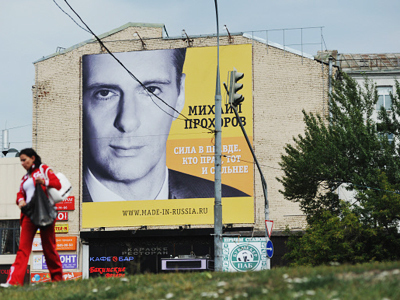 Established Russian politicians have said that the split in the Right Cause party is an indication that pro-business rightist forces are not yet ready to operate in Russian politics. 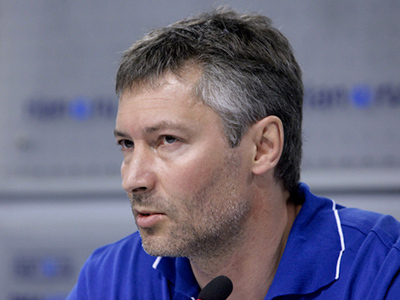 The comments were made after politics freshman Mikhail Prokhorov announced on Thursday that he was leaving the Right Cause party together with his allies. 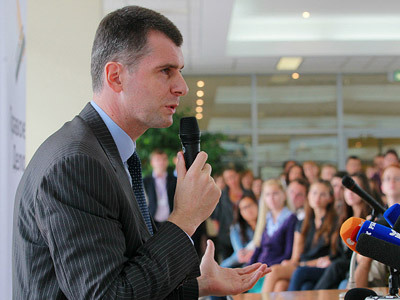 Prokhorov spent only about ten weeks as the leader ofRight Cause, yet expressed the hope that the minor party would come second in an upcoming parliamentary poll and that he himself might even take the post of prime minister. Now, Prokhorov intends to register a new political movement, but it will not be eligible to take part in December’s parliamentary elections. Several established Russian politicians commented on the situation on Thursday, generally expressing the idea that the developments were sad but predictable. Andrey Isayev, first deputy secretary of the presidium of the general council of the parliamentary majority United Russia said that after the scandal in Right Cause, it was likely that there will be no liberals in the new State Duma (in Russia, the term “liberals” is used to describe those who favor the free market and a weak state role in the economy).The politician added that right-wingers appeared unwilling to give up their ambitions in the interests of their voters. “This is not the first project aimed at uniting the liberal electorate in our country that, in my estimation, amounts to seven to ten per cent of the population. The constituency is split between the Yabloko party, Right Cause, the People’s Freedom Party and others. And none of these parties is capable of passing the seven percent election threshold. The topic of uniting the rightist electorate is constantly being circulated. There was an impression that the billionaire Mikhail Prokhorov was a very attractive candidate here, he is a strong man, a billionaire. He never participated in previous splits and could act as a unifying force. But in reality there was a split in the Right Cause party itself,” Isayev said. “The liberal politicians have stressed that the diagnosis is final,” the United Russia official said. “The rightists are absolutely incapable of unification and of giving up their own ambitions for the sake of their voters. They will not get into the sixth State Duma and this means they will again repeat like a mantra the line that the elections were not fair and the new Duma is not good enough. But they have only themselves to blame for this failure,” he said. The leader of the leftist party Fair Russia, Nikolai Levichev, said that Right Cause must look to its leaders when seeking blame for fatal mistakes that led to the split in the party.“I see the events in Right Cause as a natural event – the leaders of this party committed several fatal mistakes,” Levichev told the press on Thursday. The politician blamed the mistakes on lack of experience and also on poor guidance from political advisors. “The main thing is that Mikhail Dmitriyevich [Prokhorov] has not taken into consideration that a party is a community of people who share certain ideas and have a certain objective rather than a few leaders with a high level of recognition,” Levichev said. The leader of the Fair Russia party added that Right Cause had failed in choosing its ideology after rejecting the old rightist liberal platform. Constantly-changing objectives led inevitably to the split, he said. Sergey Mitrokhin, the leader of the liberal democratic party Yabloko, expressed regret over the strife within Right Cause and predicted that without Mikhail Prokhorov, the party would leave the political arena. 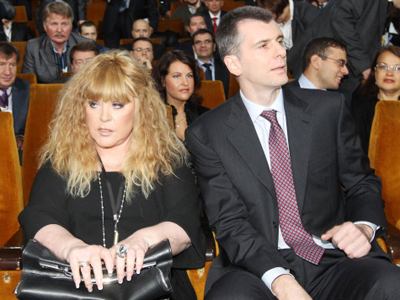 “After all, Prokhorov was a very vibrant person and now mediocrity has overtaken Right Cause. After losing such a vibrant personality as Prokhorov the party lost its chance for survival in Russian politics,” Mitrokhin said. The politician said he regretted such developments and wished Prokhorov the best of luck in founding a new political movement, but added that in his view, Prokhorov had little chance of success. The leader of the parliamentary faction of the nationalist party LDPR, Igor Lebedev, said Prokhorov’s principal error was granting himself unlimited powers, thus instigating discontent among other party members. "The main mistake of Prokhorov was the amendment of the party charter in order to entrust himself with unlimitedpowers. Party members were not prepared to tolerate that and started a revolt," Interfax news agency quoted Lebedev as saying. The politician said that in the wake of the rift, Right Cause has no prospects at the forthcoming elections, but in Lebedev’s view this did not represent a change. "The party never had election prospects; it did not gain suchwith the arrival of Prokhorov and it will not have such after his withdrawal. 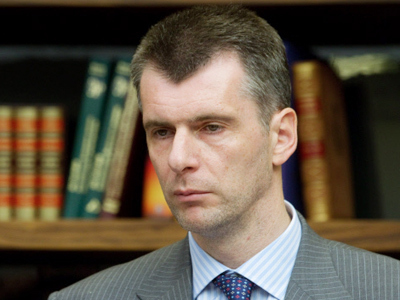 Prokhorov is not charismatic enough to raise the party’s rating from zero to at least 7%," he said.